Last edited by percymon; 12-01-2018 at 10:01 AM. This is an interesting resource to size the pressure loss you might experience. It's all in US units, but 2 US gallons per minute is about 7 litres a minute; 1/4" hose is roughly 6mm ID (ie DN06), and 5/16" hose is approx 8mm ID (DN08). Pressure loss reduces at lower flow rates. Last edited by steelghost; 12-01-2018 at 09:57 AM. Glad you got round to setting this thread up SG! My next purchase will be a new hose as I'm fed up with the standard green hose and reel toppling over the PW and coiling up constantly. SG will a new hose from Qwashers not coil up so much like the standard karcher item? My experience of rubber and steel wire hoses (ie "proper" hoses ) is that they basically want to be straight, the only exception is if you apply a twist to them - then they will coil up because of the steel wire in them. This is particularly true for dual-wire hoses - less so for single wire types. 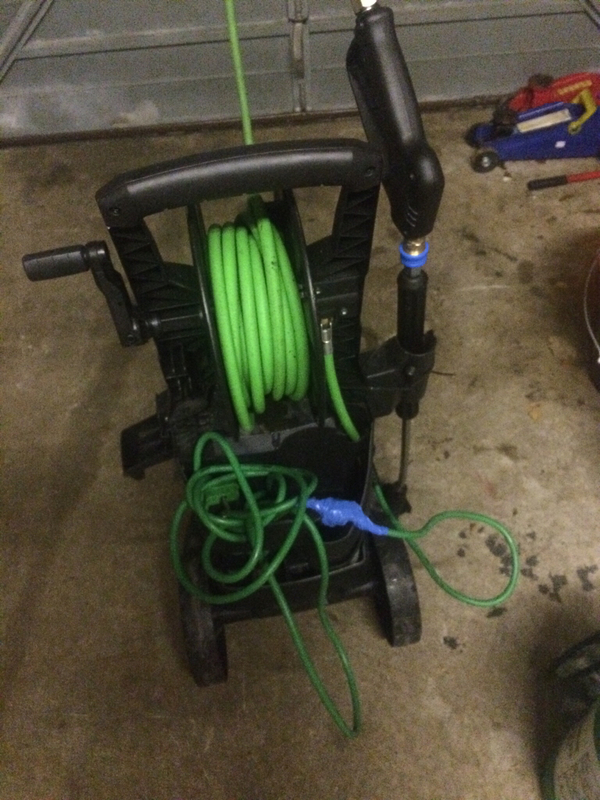 You mention a reel - I've seen that some of the Nilfisk machines can be problematic to replace or upgrade hoses, it's worth checking before you order anything how it would replace the existing hose (you might already have checked this but thought worth mentioning in case). How is the Nozzle Protector mounted? Saw Matt moreman mount it on his mosmatic lance, looked a bit awkward. Are the QR's from the gun standard 11.6mm quick releases? If yes, where did you get QR attachment for the snow foam lance? I planned on hanging it on a hook off my garage wall to store when not in use. 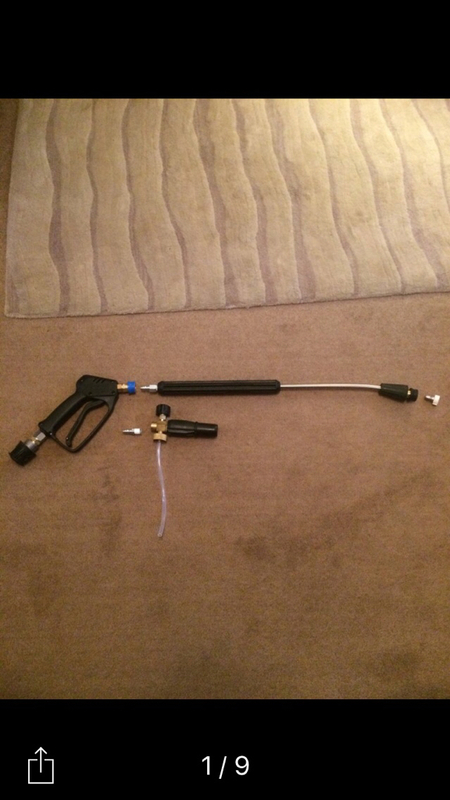 Ordered this gun today, together with a 3/8" male to 19.5mm QR male (plus some dowty washers and other odds n sods)..
Colour might not be to most peoples tastes but with built in stainless steel swivel, low force trigger and a spec of 310Bar max and 45l/min max , and 150'C capability it can cope with pretty much most machines output. Its from Suttner's 'professional' (eg petrol station car jet wash use) so is going to be robust and reliable - better spec than the ST-2600 in their more usual 'detailer' range. Last edited by percymon; 12-01-2018 at 08:02 PM.